Roberto Bolaño Ávalos (28 April 1953 – 15 July 2003) was a Chilean novelist, short-story writer, poet and essayist. 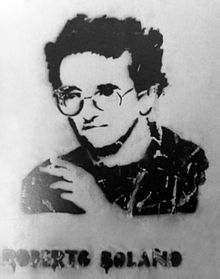 In 1999, Bolaño won the Rómulo Gallegos Prize for his novel Los detectives salvajes (The Savage Detectives), and in 2008 he was posthumously awarded the National Book Critics Circle Award for Fiction for his novel 2666. How do you recognize a work of art? Those in power (even if it's only for a little while) known nothing about literature, all they care about is power. And I'll play the fool for my readers, if I feel like it, but never for the powerful. Between Parentheses. Essays, Articles, and Speeches, 1998–2003. ed. Ignacio Echevarría, trans. Natasha Wimmer (New York: New Directions, 2011 ). 358. Every single damn thing matters! Only we don't realize. We just tell ourselves that art runs on one track and life, our lives, on another, and we don't realize that's a lie. 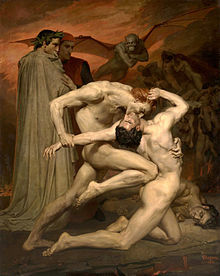 Semblance was an occupying force of reality, he said to himself, even the most extreme, borderline reality. Among the many acid pleasures of the work of Roberto Bolaño, who died at 50 in 2003, is his idea that culture, in particular literary culture, is a whore. In the face of political repression, upheaval and danger, writers continue to swoon over the written word, and this, for Bolaño, is the source both of nobility and of pitch-black humor. In his novel The Savage Detectives, two avid young Latino poets never lose faith in their rarefied art no matter the vicissitudes of life, age and politics. If they are sometimes ridiculous, they are always heroic. But what can it mean, he asks us and himself, in his dark, extraordinary, stinging novella By Night in Chile, that the intellectual elite can write poetry, paint and discuss the finer points of avant-garde theater as the junta tortures people in basements? The word has no national loyalty, no fundamental political bent; it's a genie that can be summoned by any would-be master. Part of Bolaño's genius is to ask, via ironies so sharp you can cut your hands on his pages, if we perhaps find a too-easy comfort in art, if we use it as anesthetic, excuse and hide-out in a world that is very busy doing very real things to very real human beings. Is it courageous to read Plato during a military coup or is it something else? Stacy D'Erasmo, in "The Sound and the Führer" in The New York Times Book Review (24 February 2008). The moment we "discover" a favorite writer is like our experience of a cataclysmic event — we can remember precisely where we were and what we were doing when it occurred... So I assume I'll always recall the doctor's waiting room where I opened a dimpled, out-of-date issue of The New Yorker and found Roberto Bolaño's story "Gómez Palacio."